This Targeted Analysis covers the so-called Northern Growth Zone that stretches from Oslo via Örebro and Turku to St Petersburg. This corridor includes the northern parts of ScanMed TEN-T Corridor and is aimed at boosting the region’s competitiveness in the global arena through the creation of a single, internationally recognized market and commuter belt. Altogether, the political significance of the growth corridors in the Baltic Sea Region has grown due to investments in infrastructure, which create potential for developing the area in relation to international investments and Russian markets. Because of this multi-scalar context, the territorial policy development and comprehensive planning of growth corridors requires a knowledge-base and indicators that fairly capture the functionality and interactions between different countries, diverse urban and rural regions, and more specifically, between their citizens and economic actors and actions. Currently, the spatial data attached to different areas along the corridors that cross several administrative boundaries is often insufficiently catered for and utilized in the planning processes. In particular, data describing the interactions within the corridors are often limited. Therefore, this Targeted Analysis will address an important need for further understanding of the territorial realities of corridors relying on location-based data. The long-term emphasis of corridor development needs to be supported by new means of data utilization as the development dynamics of these territories no longer adapt to the traditional administrative boundaries of data gathering. New data sources, such as big data, offer promising potential for analysing the dynamics and interactions within the growth corridors. Increasingly, data and information from analysing internet activities or social media can be used for observing territorial development trends. Thus, in the context of European growth corridors, this Targeted Analysis will investigate to what degree new ‘big data’ collection approaches can be used to enrich existing territorial policies and provide more up-to-date evidence. The use of big data will offer opportunities, in combination with traditional statistical data, to explore flows between different areas within growth corridors. What are the policy needs, defined by the stakeholders, that could be better addressed with an improved understanding of spatial development trends, dynamics and interactions along growth corridors? 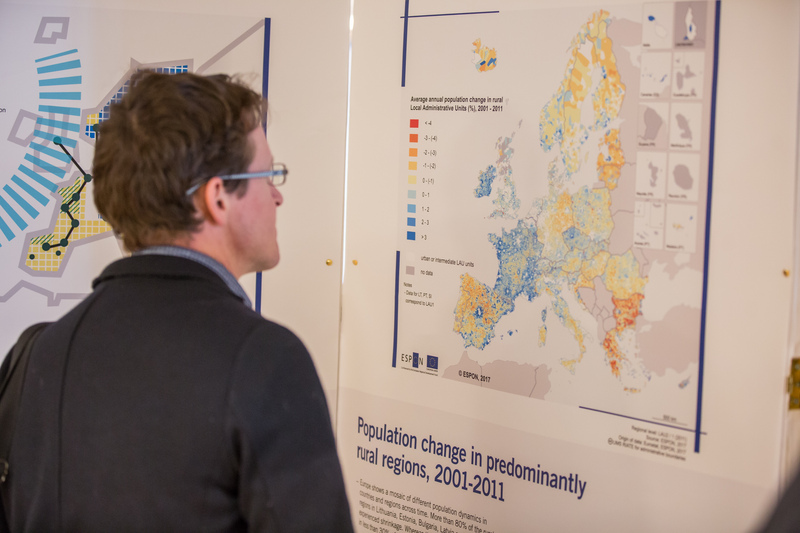 What are the different categories of data sources and what related data sets can be collected and used to fill those gaps of knowledge in the stakeholders’ territories and, more generally, in growth corridors areas around Europe? What are the most efficient methodologies – according to different data’s typologies – to collect, process and analyse those new data sets? What are the main conditions and potential blocking factors for accessing and using them? How could governance and territorial coordination be improved between regions or countries that have diverse potentials and legislative restrictions for big and open data? What are the development potentials to answer the stakeholders’ needs in the study areas covered by this Targeted Analysis, and how can these potentials best be exploited? How could the cooperation between public authorities and private providers and platforms be improved to foster “big data” utilisation in spatial planning and territorial development policies? What are the main policy recommendations for improving new big data collection and provision, both in the study areas covered by the activity but also generally along growth corridors throughout the EU?